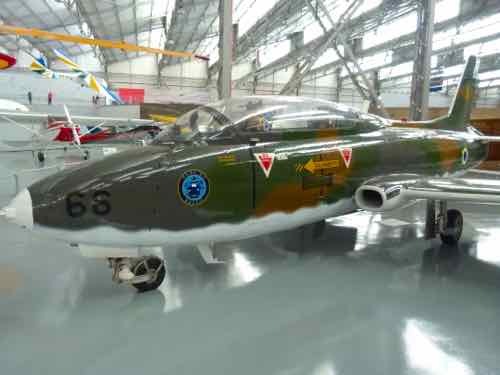 The TAM Museum is another aviation museum that Mark had been talking about visiting for years. We visited in July 2015. Unfortunately, a few months after our visit, we learned that it was permanently closed. But it wasn’t really the Connie that took us there. 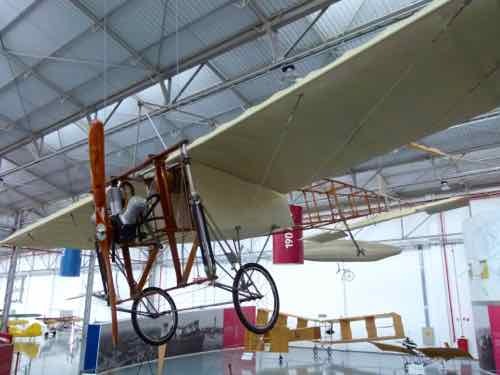 It was another place in Brazil to see replicas of the planes of Alberto Santos-Dumont. And there was one of those only-one-left-in-the-world planes that we really wanted to see. The Savoia-Marchetti S.55 was a pretty crazy looking airplane to me, but by all accounts that we’ve read it was remarkably airworthy, and it set many records in the 1920s for speed, altitude and distance with a payload. The greatest fame came from flights across the Atlantic from Europe to the Americas. Brazil is especially proud of this one. 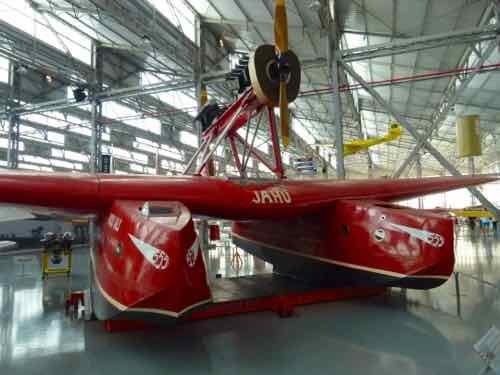 Brazilian João Ribeiro de Barros and his crew crossed the Southern Atlantic in the Savoia Marchetti S.55 “Jahú”. On April 28, 1927, “Jahú” left Italy from Genoa headed for São Paulo. They had stops in Spain, Gibraltar, and the Cape Verde Islands before they got to the Fernando de Noronha archipelago off the coast of Brazil. That was the longest Southern Atlantic crossing of that era. 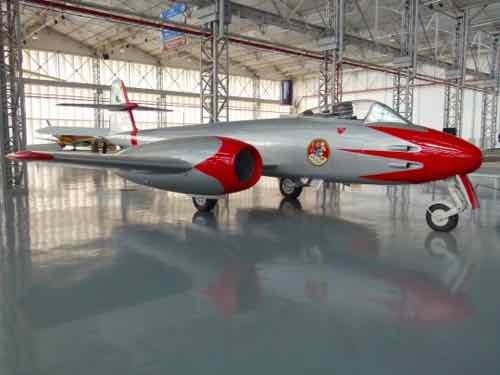 “Jahú” is the only Savoia-Marchetti S.55 remaining out of about 200 produced. When they were produced in Italy, they used for maritime bombing squadrons. 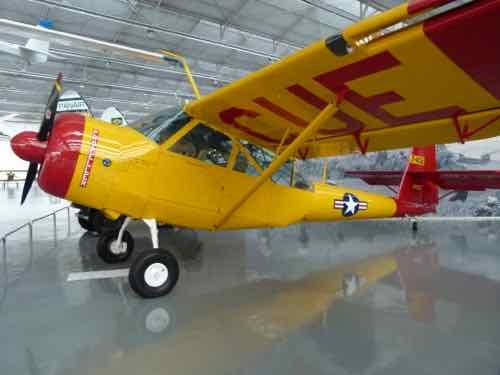 Twin tandem engines are carried on struts over the wing… Inline counter-rotating props. The engines were mounted back-to-back. Side by side pilot cockpits were located in the leading edge of the center section of the wing. The twin hulls carried passengers or cargo. Those two booms connected a triple-finned tail structure to the twin hulls and wing. We flew on TAM the first time we went to Brazil looking for jaguars. 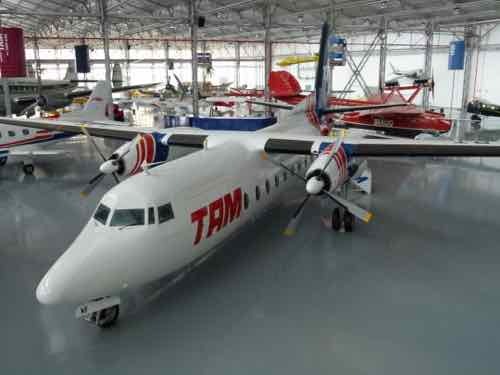 TAM started out as an air taxi service with small airplanes…. 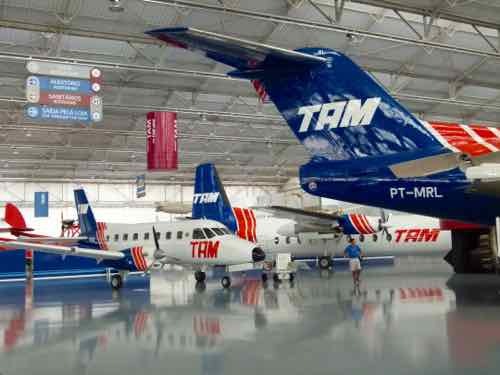 TAM stands for Táxi Aéreo Marília. It was founded by a group of five pilots… and named after their hometown of Marília. 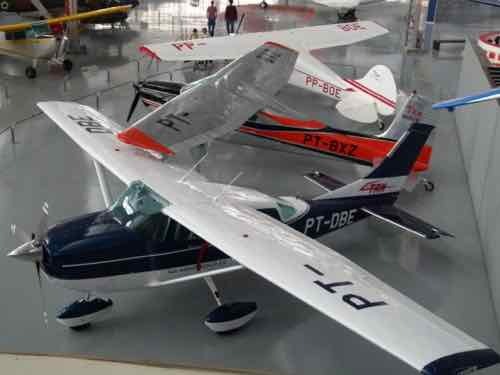 It began operations with 4 Cessna 180s and one Cessna 170. There’s a convoluted history you probably don’t want to know about. 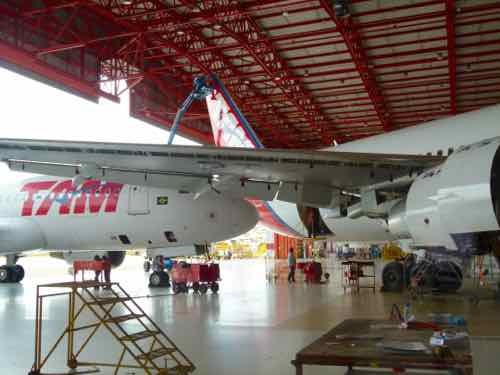 Suffice it to say that TAM grew to be a large airline in Brazil. 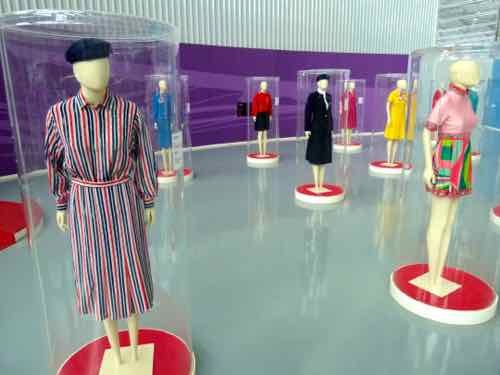 In addition to some of the planes from their early fleet, you can see flight attendant uniforms. 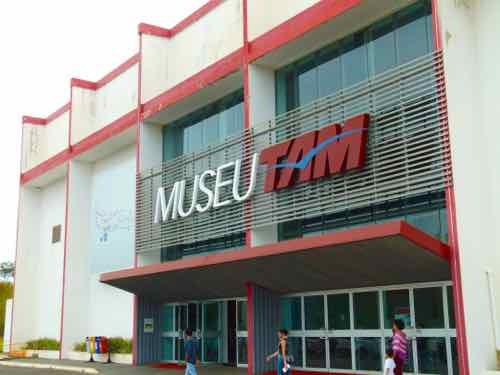 The museum is associated with the TAM maintenance base in São Carlos. 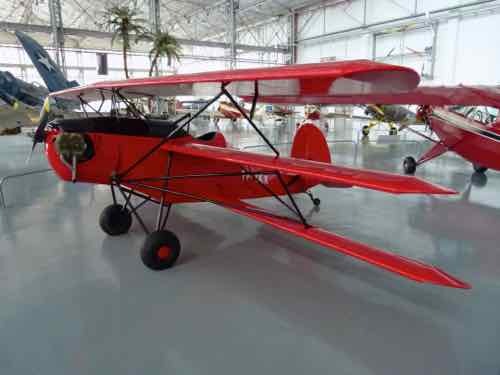 The really early antique airplanes in the TAM Museum exhibit start with replicas. 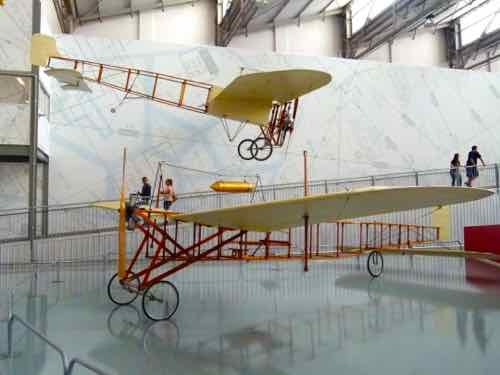 There are the Santos-Dumont planes… 14 bis and one of his Demoiselle 22. We have no idea what the balloon in the photo is, but Santos-Dumont did much of his early flying experiments with balloons. Remember that Alberto Santos-Dumont did most of his flying in France, so he would have been familiar with Loius Blériot. 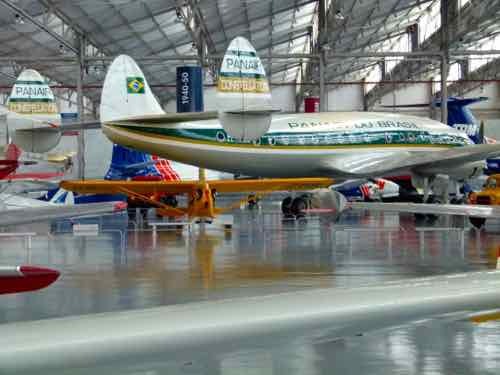 Another antique airplane replica in this area was the São Paulo. 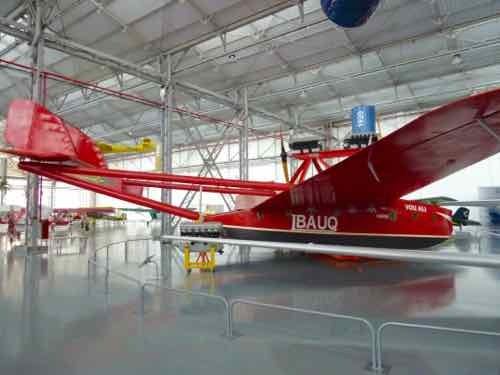 This monoplane flew a distance of 103 meters for about 6-7 seconds for the first aircraft flight in South America. That little red triplane is the American Flea Ship or the Flea Triplane. It’s a homebuilt triplane design from the early 1930s. 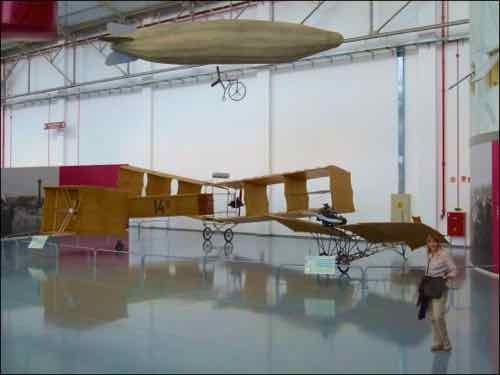 It is one of the earliest examples of an aircraft designed and built by a woman. Panair do Brasil was an airline in Brazil from 1945 to 1965. It received its first Lockheed 049 in 1946. The museum’s Connie is a tribute to that historic airline. Some search and rescue like this Consolidated-Vultee from 1949. As I said, we visited in July 2015. It was a challenge to get there, but a great museum. We're hoping some of their collection gets displayed elsewhere... maybe somewhere that is easier for tourists to get to! Yes, well, that’s the challenge if you’re a tourist in Brazil. The museum is not in São Paulo… it’s about 4 hours away (250 km or 160 miles) in São Carlos in the state of São Paulo. We rented a car at the São Paulo Guarulhos International Airport and drove there. The drive was easy once you got out of the city, but that São Paulo traffic can be a nightmare. We returned the same day, so we were returning to the airport after dark in rush hour traffic. I wouldn’t recommend that for the faint of heart. Still we managed it.